Thanks for your comment. As far as I understand it, you can link your Google Business Page to your website or blog using a Google Badge that is specially designed for businesses and includes a rel=publisher link. Instructions for this are here http://support.google.com/webmasters/bin/answer.py?hl=en&answer=1708844 with a link to the Google Badge for Pages site. My understanding is that linking your site to your Page is in order to make your site eligible for Direct Connect (users connecting to your Google Business page directly when typing +yourcompanyname into the Google Search Engine. This is not currently enabled for Mimimyne as far as I can see, although Rich Snippets Testing Tool says my markup is valid. Personally, I would add the badge/reciprocal link to your website and Google Business Page and wait and see what happens. I hope this is helpful! Let me know how you get on if you have the time, it would be great to hear. 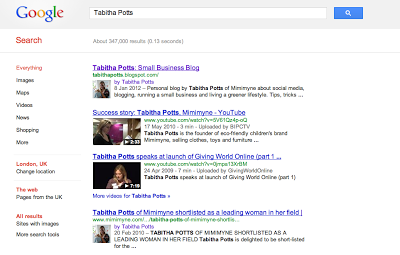 Is there a way to use a Google Plus BUSINESS page for rich snippets? 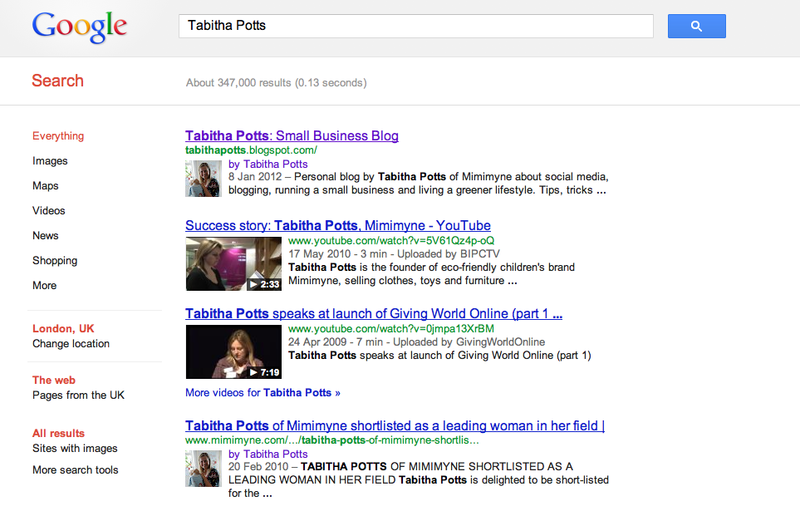 The "contributor to" section of the about page is missing on business pages so I can't link to it to create snippets. I'd like the company logo to show up as the snippets author of a page, not an individual person. 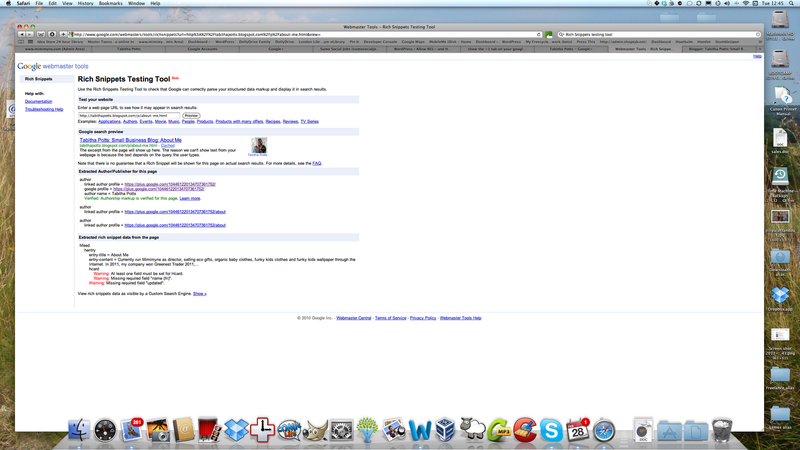 Hi Gokul – is it showing up as correct in the Rich Snippets Testing Tool? If it is, it should start working soon – but Google don't say how long it will take. I think it took about 2-3 weeks for mine to show up i search results. buT stiL image noT comng…..
wiL iT take time ? ?